When people use the Autohitch Car Concierge Service, one of the first questions usually asked is: Can you tell me the Service History of the vehicle please? And, like the diligent service providers we are, we will do just that, but what if the car has no service records? Does that really count as a negative toward buying any particular Used Vehicle? 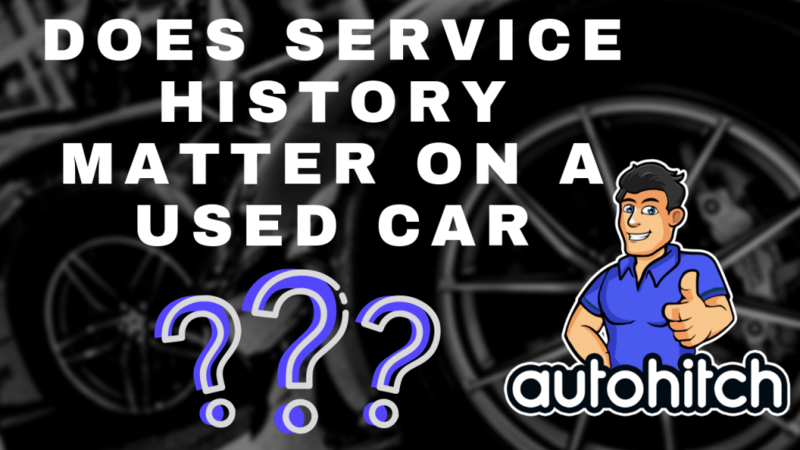 Seeing a detailed and lengthy service history on a Carfax Report, or an Autocheck Report, does comfort the average car buyer (I know), but the fact is that seeing no vehicle history shouldn’t scare you either. The truth of the matter is that most mechanics, body shops, and even large dealer service centers simply don’t report their work. Think about it: As busy as these shops are, how many man hours do they want to pay out simply to have someone report what they have done a second time? What value to the dealership is having a full service history on a vehicle? If they need records, they can pull them up in their own computer at any time. You selling your car to someone else is absolutely of no concern to them, however, their bottom line is. Another reality is that a lot of minor damage to vehicles often goes unreported, mainly because they’re just the result of single car accidents, meaning: They didn’t get into a typical car accident involving another party that would require a police report. Who would want to report an accident to an insurance company? On top of a deductible, who knows how much higher monthly insurance rates would cost you from admitting you drove recklessly. So, it only makes sense to pay for the repairs out of pocket at a local shop who wouldn’t dare tell a soul. With no Police report and no insurance claim, who exactly would be reporting the incident/damage? If I see lengthy service records, I tell buyers that it’s a good thing. When I see no service records, I tell buyers it means nothing. Order a pre-purchase vehicle inspection! It’s the only way (ONLY WAY) to know the true condition of the car you want to buy, as it sits today. If you would like any more advice on this subject, please feel free to reach out to us in the comment section below, and thank you for being our guest today!